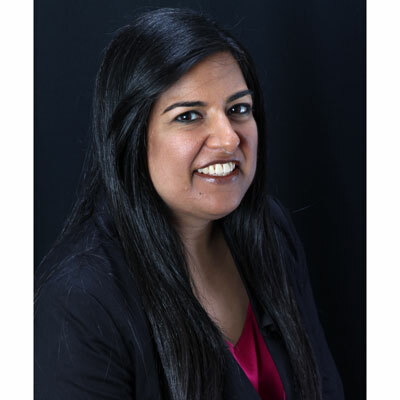 Sonia Vasudeva is a seasoned marketing professional with over 16 years of experience, spanning channel, field, and corporate communications disciplines. She has marketed both IT software and hardware technologies including storage, networking, security, and medical devices. Her pulse on the channel began as far back as a college intern for a VAR Business 500 reseller. Vasudeva joined Acer in 2009, managing incentive programs and promotions for Acer's distribution, DMR and reseller channel partners. In 2013, she became responsible for both creating new and strengthening existing Acer reseller programs along with managing Acer's network of distribution partners. Vasudeva previously managed distribution and reseller partner programs at Oracle (Pillar Data). She was also responsible for creating and driving demand gen programs at NetApp. In response to her channel efforts, Vasudeva was named to CRN's Women of the Channel list for the past three years. Vasudeva holds a B.A. from the University of California, Davis. With the belief that marketing is a perfect blend of both science and art, she naturally expresses her artistic abilities off the field as well - as a mixed media artist actively involved in her local maker community. My responsibilities include the development, management and execution of marketing programs and promotions for Acer's distribution and reseller channel partners. This past year's focus has been to continue to drive brand awareness of Acer's portfolio of high-performance commercial grade systems through our Genius Buys Program as well as strengthen our commitment to growing smaller resellers through comprehensive incentive programs based on the sales of Acer products. In further efforts to expand our VAR program offerings, we launched the Acer Alliance VAR Program in 2017 designed for small and medium businesses (SMBs), as well as the third year of the Acer Elite VAR Program, targeted at K-12 education customers. We have a series of programs to help Alliance and Elite partners with pricing and incentives which help facilitate profitable sales of growing categories of products. Amongst the programs offered is Acer Rewards, a customer loyalty program offering incentives via reloadable prepaid debit cards based upon the sales of selected Acer products. In 2017, we saw 22% YoY revenue growth within Acer Elite reseller partners as well as a 40% program enrollment increase as the top of the year. Over the next year, I will continue to focus on the growth of our VAR community by positioning Acer as the commercial IT solution. This includes ongoing initiatives to increase VAR engagement and target VAR recruitment. Our goal is to strengthen and build upon our reseller programs including the Acer Alliance and Elite VAR Programs. In addition, there will be continued efforts to increase the amount of net new accounts coming through partners as well as expand the Acer product portfolio of our transacting customers. This past year, I was named to the 2017 CRN Women of the Channel list. The women recognized by CRN on this list are comprised of the entire IT channel sector and selected based on achievements, impact and commitment to the industry. I admire Michelle Obama for many reasons but in particular for her Let's Move! public health campaign. I think promoting the importance of nutrition and physical activity for children at a young age is such a critical foundation to build healthy habits for life. She brought awareness and implemented tools to help combat childhood obesity both in schools and at home through this much needed initiative. I would tell my 16-year-old self to slow down and enjoy the journey. You will ultimately find your way in reaching where you are going so have fun exploring and soaking it all in, taking time to smell the roses! Having always been a proponent of Toastmasters, it would be great to rejoin and master some of their tried and proven techniques. Speaking on varied topics outside of one's domain expertise helps look at things through a different lens. Surprisingly, this can be applied back to your job function. In my case, this could be a new approach to implementing a unique marketing campaign or to strategic MDF planning with partners. Thanks goodness for Table Topics and the design of the impromptu speech. I was so moved from Promise Me, Dad by Joe Biden. Biden chronicles the time leading up to and shortly after the passing of his son along with the intertwinement of his political obligations. There are so many life lessons told here by someone who has led such an inspiring career while navigating through the worst tragedy imaginable more than once. I loved that through that journey, he was able to honor his son's legacy while still realizing his own purpose in moving ahead.